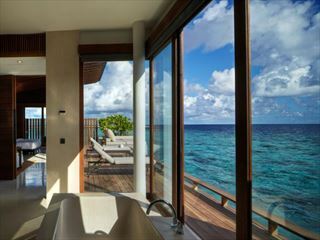 LUX* North Male Atoll is a Maldivian resort like you’ve never seen before. 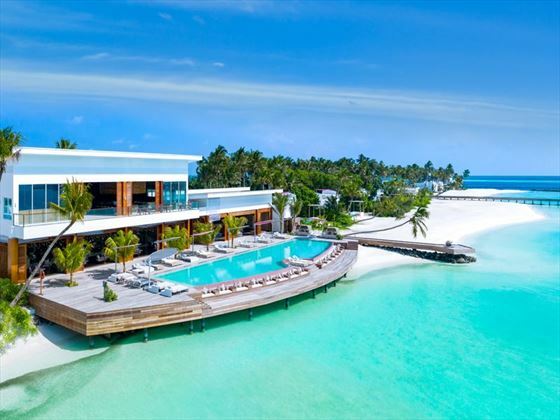 Gone are the typical thatched roof villas, instead this innovative resort offers ultra-modern penthouse residences, nestled on the pristine white sands, or perched above the crystal-clear lagoon. 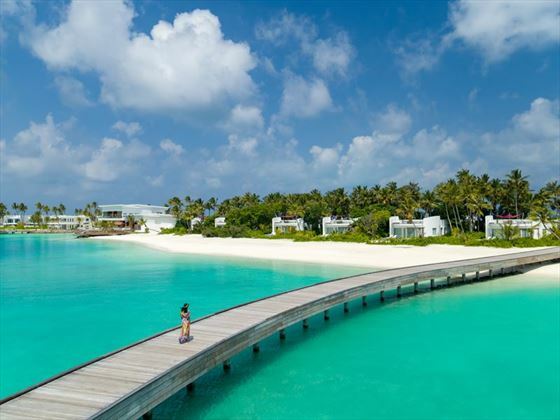 Nestled on the small picnic island of Olhahali, accessed only by luxury speedboat or seaplane, the resort feels luxuriously remote, making you feel like the only people on earth as you soak up the sun and snorkel in the vibrant reef. The residences are certainly jaw-dropping. Ranging from one to three bedrooms, all feature their own private pool and separate living room. Our favourite part of the residences are their unique reef terraces. 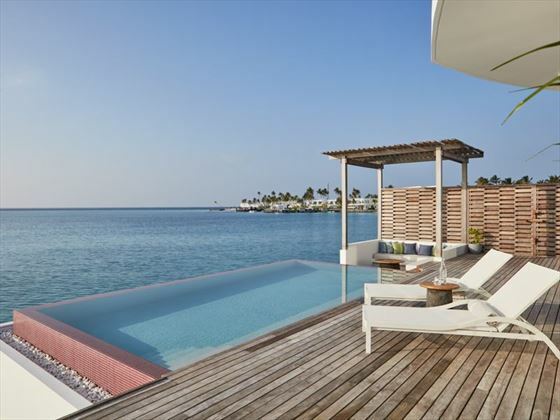 Located on the rooftop, the terrace looks out over the lagoon, offering a cool spot to watch the sun set. 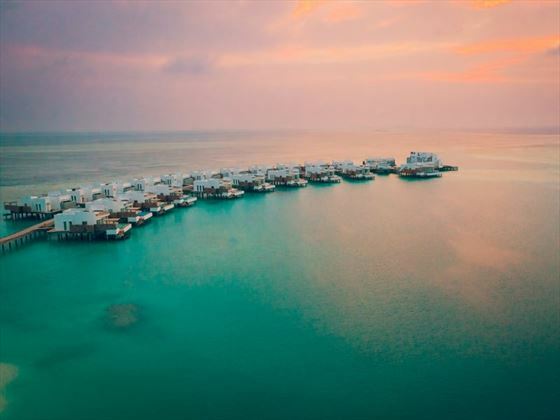 The Prestige Water Villas are fabulous with their private rooftop bar, or you could truly indulge with a three-bedroom Over Water Penthouse, with its own sauna, steam and fitness area. 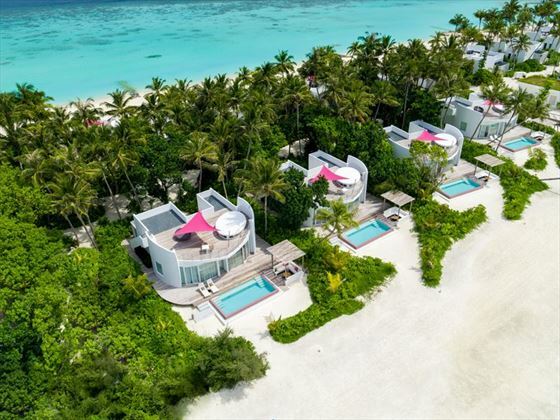 LUX* North Male Atoll is ideal for trendsetting travellers looking for contemporary living amongst some of the world’s most breath-taking scenery. There’s a wide range of water sports for those who like to stay active, and the big-screen cinema is a fun way to spend the evening. The restaurants here are laidback, and serve up a delicious sensation of island-style treats – we love The Bunker and its brilliant wall-to-wall aquarium. This stunning resort is located on the six-hectare picnic island of Olhahali. The resort feels wonderfully secluded, giving you a true castaway feel. An hour’s transfer from Malé by luxury speedboat, or 15-minutes via seaplane. 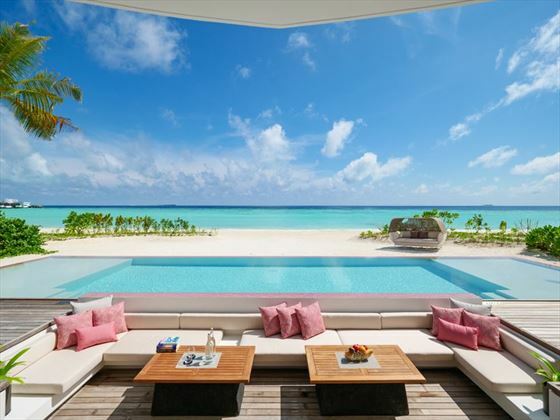 Beach Villa - Charming villas right on the beach, with one bedroom and a pool. Beach Residence - Stylish two bedrooms residences, with a pool. 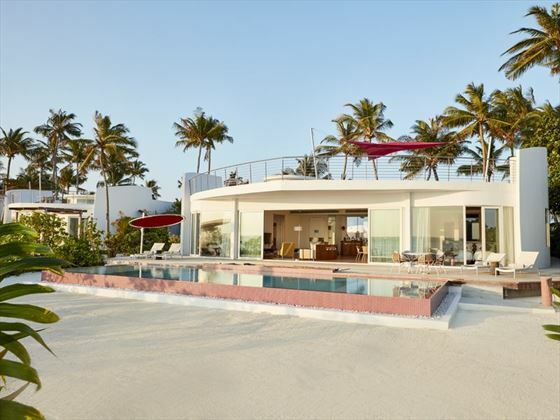 LUX* Beach Retreat - Gorgeous beachside retreats with three bedrooms, and a pool. 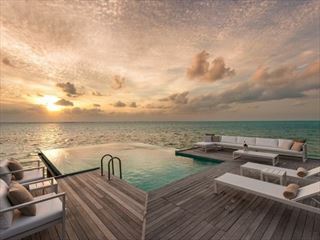 Water Villa - Perched over the water, these villas have one bedroom and a pool. 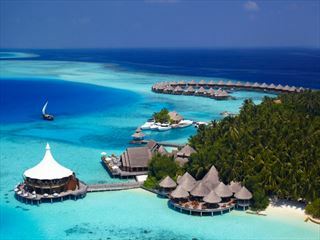 Prestige Water Villas - Trendy over-water villas with one bedroom and a pool. 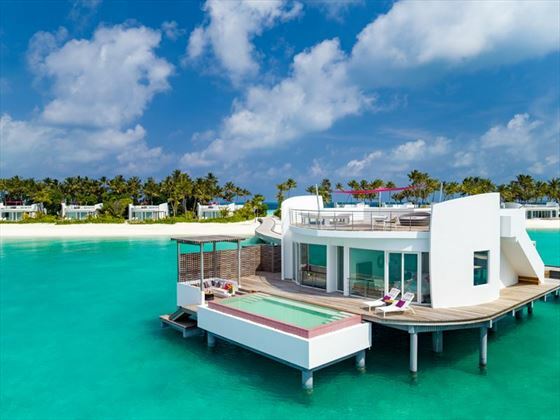 Overwater Residence - Extravagant villas nestled over the water, with two bedrooms and a pool. 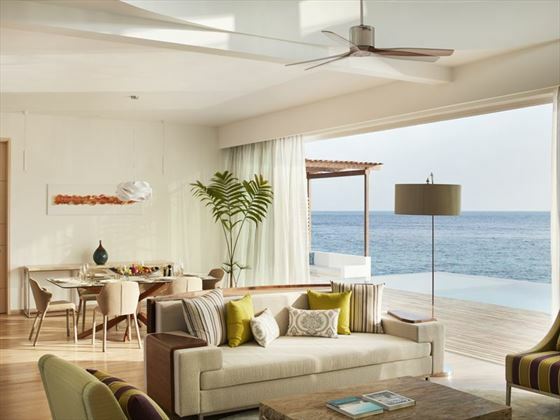 LUX* Overwater Retreat - The most spectacular of retreats, featuring three bedrooms and a pool and leads straight into the lagoon. GLOW – A tantalising all-day menu serving up a myriad of island specialities. INTI – A trendy Japanese – Peruvian restaurant using traditional and authentic ingredients. The Bar – In the day, this is a great spot to grab a quick island-inspired bite. But, as the sun starts to set, this cool venue becomes a classy cocktail bar with an original soundtrack. 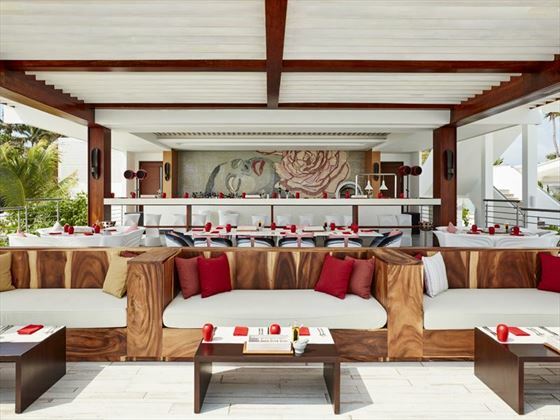 Beach Rouge – A stylish restaurant with a hint of French Riviera. 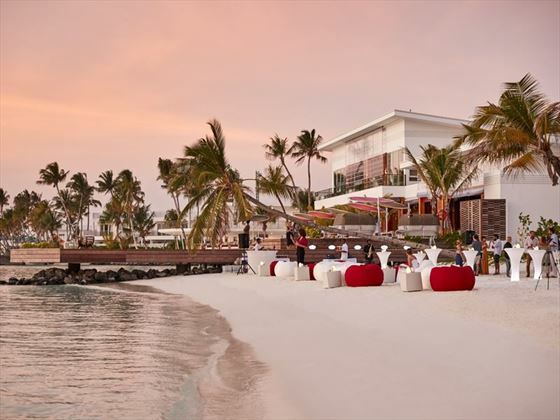 This is a chilled-out lounge offering delicious cocktails and tapas, served by the beach whilst an international DJ drops a beat. 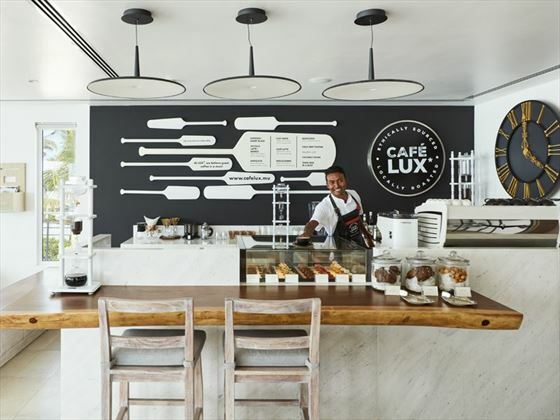 Café LUX* - A gorgeous coffee bar serving the resort’s own-blend however you like it, whether than be a cappuccino, a latte, or a cold-press. The Bunker – A unique restaurant with a wall-to-wall size aquarium, giving you the impression of dining under the sea. Dress Code: During breakfast and lunch, swimming attired must be covered up. For dinner, all restaurants will adopt a smart-casual dress code. Nestled on a private island, you’ll have access to a secluded lagoon with a house reef ideal for snorkelling. Breakfast in the M.I.X.E restaurant offering buffet or a la carte. Unlimited access tot eh gym, tennis courts, table tennis, bocce balls, & beach volley.